They say it's a long way to the top if you wanna rock n' roll. For AC/DC drummer Phil Rudd, the trip has had a series of ridiculous pit stops in 2014. Rudd was originally charged with hiring a hit-man, but the case was dropped. 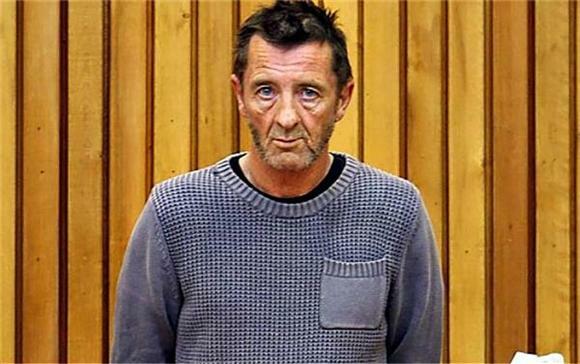 Nonetheless, the New Zealander still faces charges for possession of marijuana and methamphetamines and for threatening to kill yet another person. Rudd was ordered to abide by mandatory court ordered rules in the meantime, which restrict him from having contact with police witnesses. As luck would have it, Rudd "happened" to run into his former security guard, who had testified against him on the hit-man charges, while eating at a local coffee shop. Rudd allegedly accosted the man, yelling at him and "getting all up in his face" according to a witness, until the guard pushed him away. Not a very rock n' roll place to get into a fight, but hey, what do I know. Rudd fled the scene but was soon taken back into police custody. He was later released on bail and is scheduled to make another court appearance February 10. Coincidence or not, his meeting with the security guard could hurt his chances in court, where, if convicted, he may be sentenced to up to seven years in jail.